Stylish Exercise For Your Zodiac Sign – Star Sign Sports! You know that your zodiac sign influences how you look and the way you dress, so how best to live by the stars when it comes to sports? Step out in style with a workout to suit your sign! For the best astrology advice look to where Mars sits in your birth chart and in which sign it’s sitting. Mars is our energy planet, and its position will indicate how you like to expel energy! Fire sign Aries likes to be number one and will sometimes be put off by sports that they’re not so good at, simply because they’re in it to win it. As such, solo endeavours suit them. A little selfish, team sports rarely fire them up – although they love being a spectator and make a fabulous partner to attend a game! 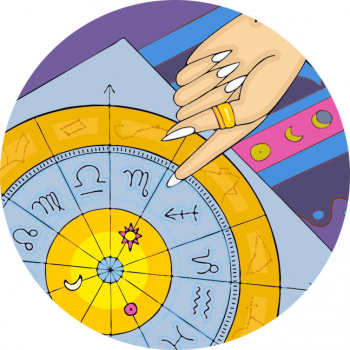 With their love of a sedentry life the Taurus person might be slow to move on a Sunday – or any day of the week! Therefore you can tempt them into fitness with a walk in their natural domain: a beautiful landscape. The Gemini bird is usually well adapted to cities. With their love of networking and communication this flighty creature is usually flitting from one place to the next, and rarely gains weight due to their dextrous demeanour. Bicycling is a perfect pursuit for the Twins, with two wheels they can go anywhere – freedom! Cancer babes love the ocean waves, so water sports like sailing suit them so! Leo needs the reward of a gold medal at the end of their exercise, and they need to be the STAR! Fresh faced Virgo is truly in tune with health and wellness. The zodiac sign most aligned with routine you’ll rarely need to kick start your fitness program, as you probably do a little every day towards your goals. Best suited to your style? An at home, daily workout! A game of partnerships with the prettiest outfits, tennis in pairs is truly a Librian pursuit. A lone wolf, Scorpio will enjoy the thrill of a solitary pursuit. It has to be an adventurous equestrian pursuit for Sagittarius. Incorporate archery in the mix and this cowgirl’s happy! The mountain goat can combining social climbing while achieving great feats in their active life too. A sociable creature, the Aquarius folk love any excuse for a get together or gathering. They love groups and a ‘community’ feel to their activities so sign them up to a team! Fluid and free, the sign of the Fish is suited to artistic endeavors that connect them to the spirit of the universe. Dance can be particularly soulful. Yoga is perhaps the most spiritual activity that can be undertaken in the gym, originally used to allow an ease in sitting in comfort for deep meditation.